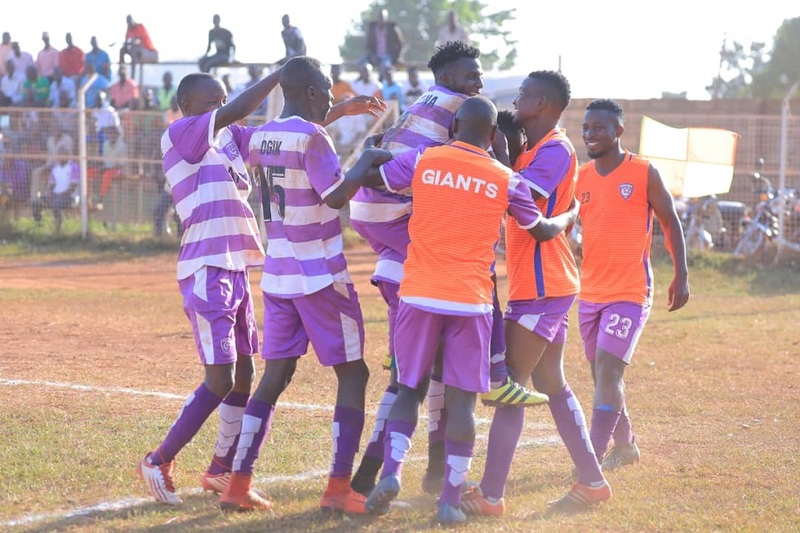 BOMBO – Wakiso Giants will be hoping to continue their unbeaten run in the FUFA Big League when they travel away to UPDF on Thursday afternoon. Ibrahim Kirya’s side have been impressive since the start of the season and are now only five games away from ending the campaign without defeat. Currently enjoying a five point lead at the top of the Big League, Wakiso know that they are edging ever so closer to getting promoted to the top tier on their first attempt. On Thursday, they take on a UPDF side who are also eyeing a playoff spot that may see them return to the Uganda Premier League. The Army side currently sit 4th on the standings, two points behind third spot, the last playoff position. “It will be a tough game against a very experienced side, said Wakiso head coach Kirya. “But the boys are ready and like I said, what is important isn’t the past but the game at hand. Hassan Wasswa Dazo could return to the team after missing the goalless draw at home to Kyetume in Wakiso’s last game. Striker Norman Ojik suffered a knock while on Fufa Drum duty with Acholi but could be available after training for the past couple of days. UPDF have blown hot and cold this season with chances of making a comeback to the top tier fast vanishing unless they win all their remaining games. Currently with 25 points, two behind Dove All Stars who occupy third, Steven Bogere’s side has a chance to play catch up with a solid performance at home. Fred Umony is one of the key players at UPDF and will be expected to up his game to down a spirited Wakiso Giants side that has Ayub Kisaliita, Steven Bengo, Moses Ali Feni and goalkeeper Yasin Mugabi, among others. In the other games, Felix Kawooya’s Kiboga Young has a chance to displace Kansai Plascon from second place when they take on struggling Ntinda United at the Bamusuuta playground in Kiboga. Kira United locks horns against Masindi based Dove at Mandela National Stadium in the other Rwenzori group encounter. The other Elgon group contest will see Anthony Bongole’s Doves All Stars take on Amuka Bright Stars in Arua, at the Green Light Stadium. Entebbe FC, coached by James Odoch will play host to Jinja Municipal Council (JMC) Hippos at the lake side Fisheries Training Institute play ground in Bugonga, Entebbe. The top two clubs per group qualify directly to the Uganda Premier League as well as one other side determined via a promotional play-off.